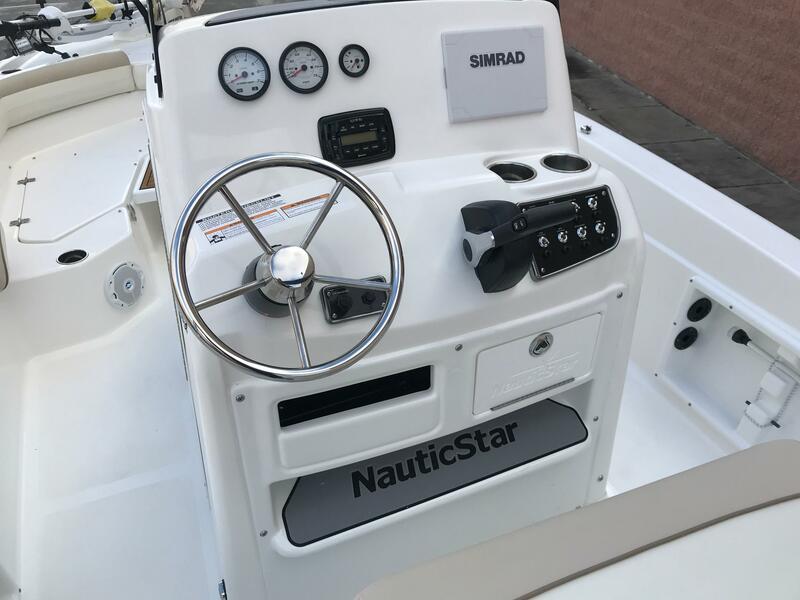 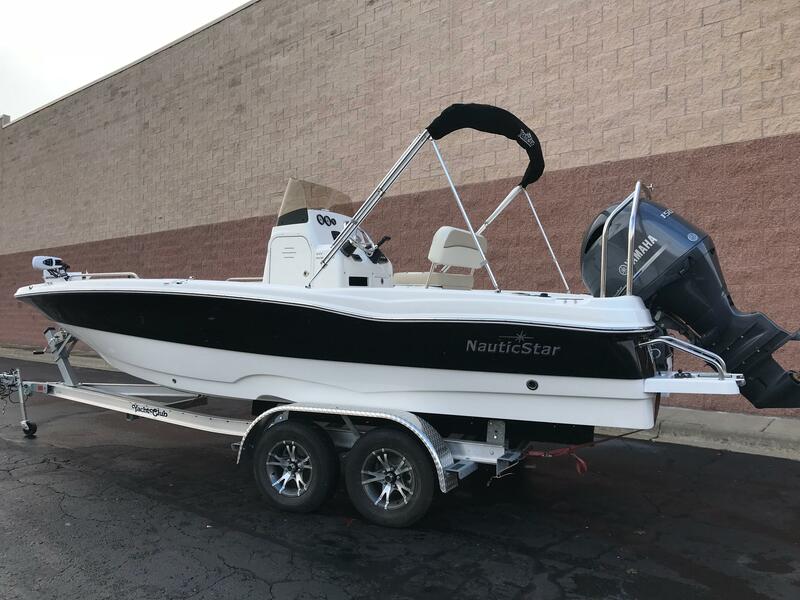 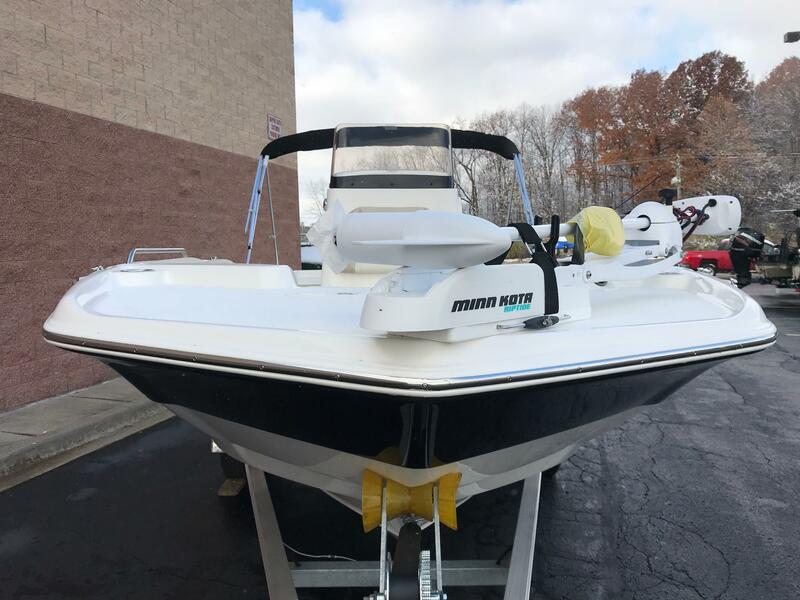 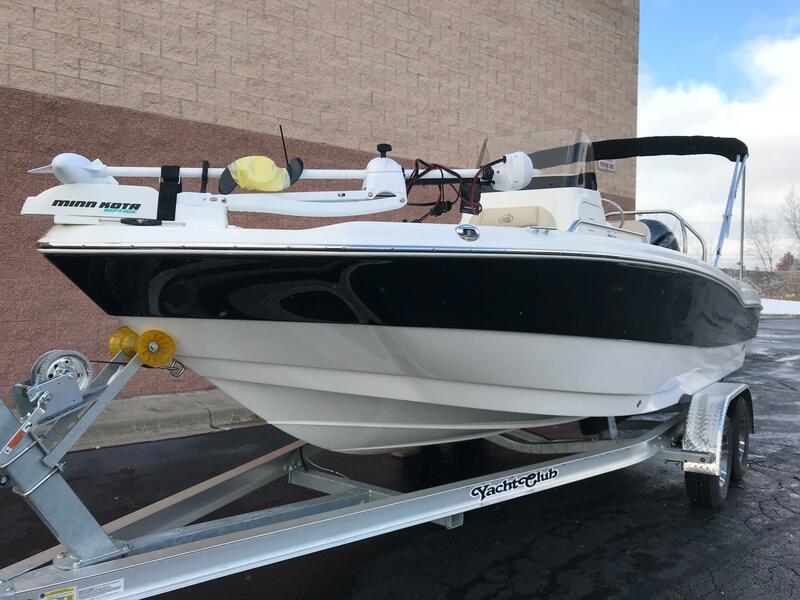 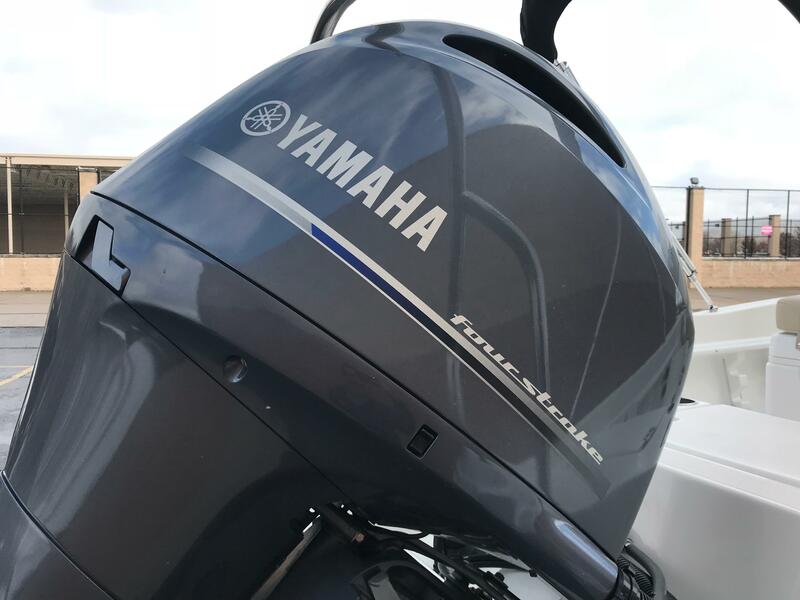 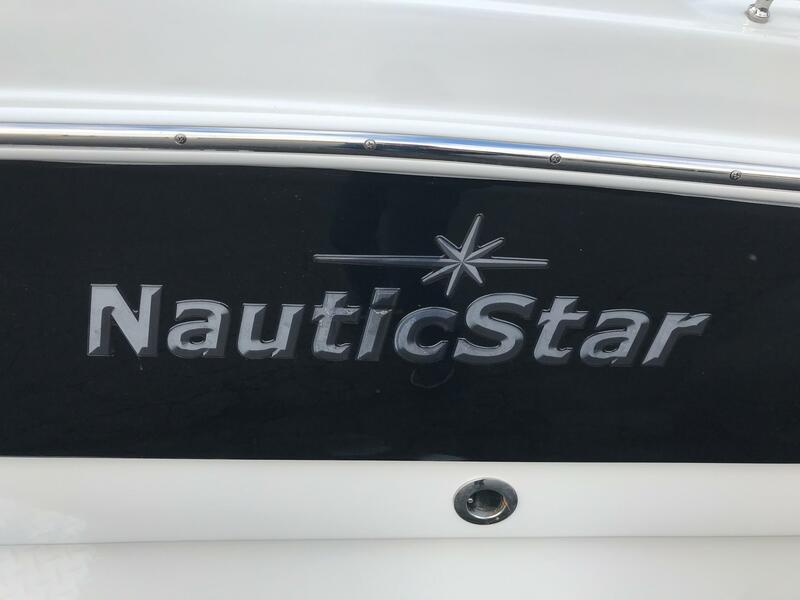 NauticStar 211 Angler powered with a Yamaha 150HP outboard. 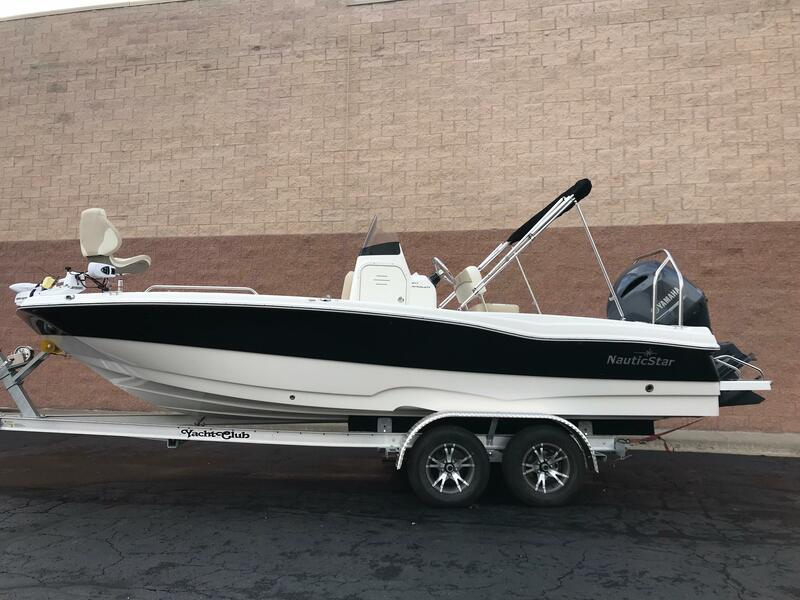 This boat is both versatile for fishing and family, and agile on the water. 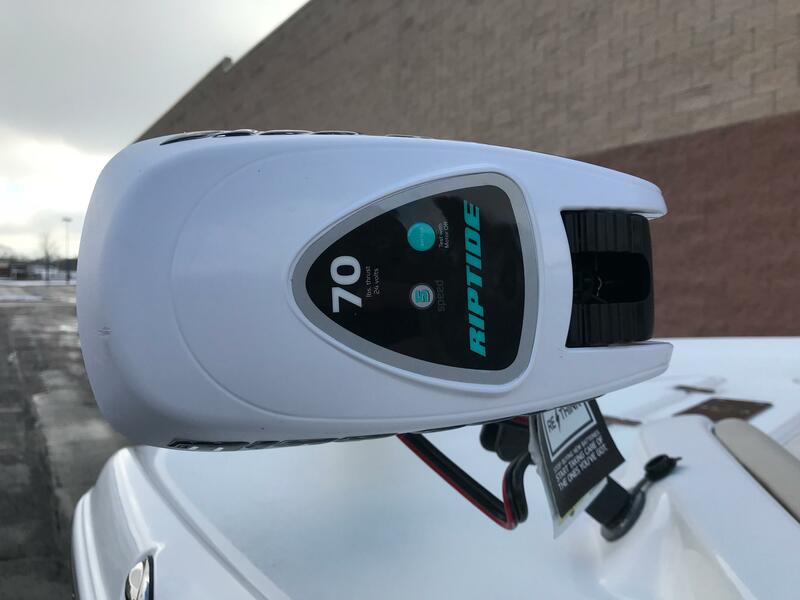 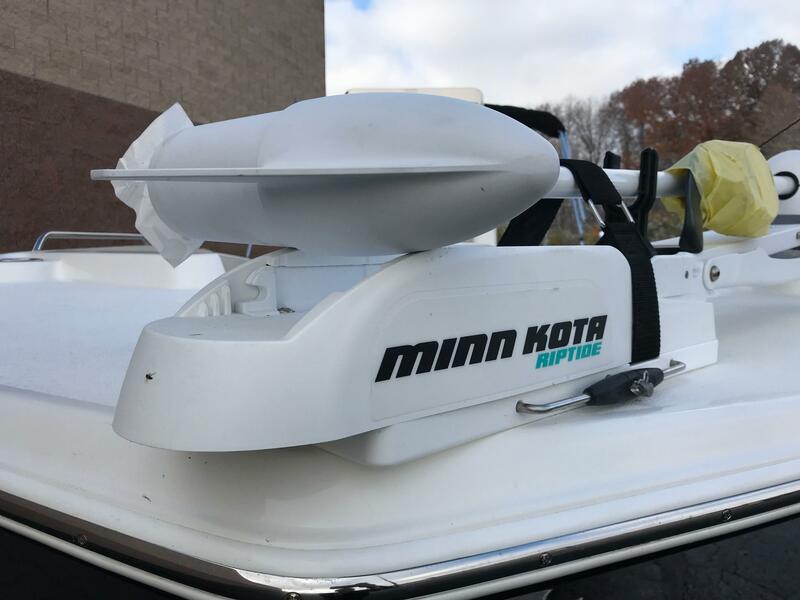 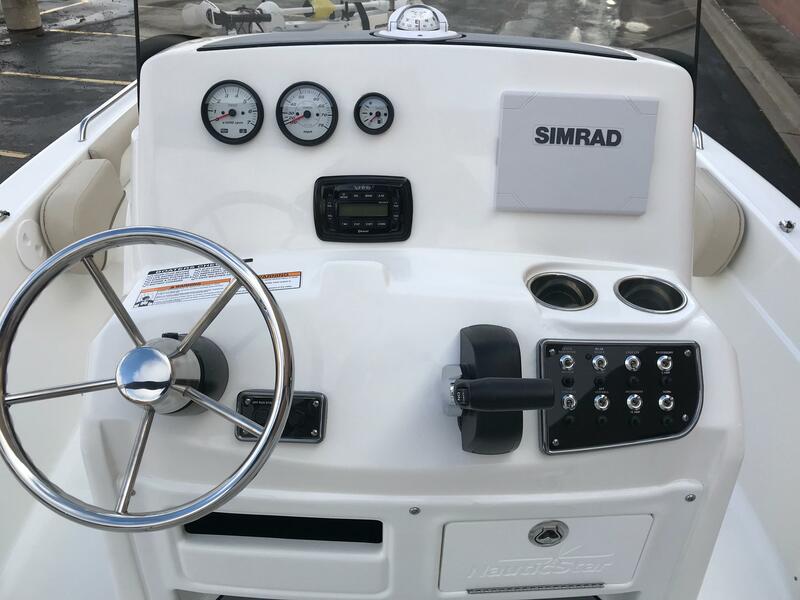 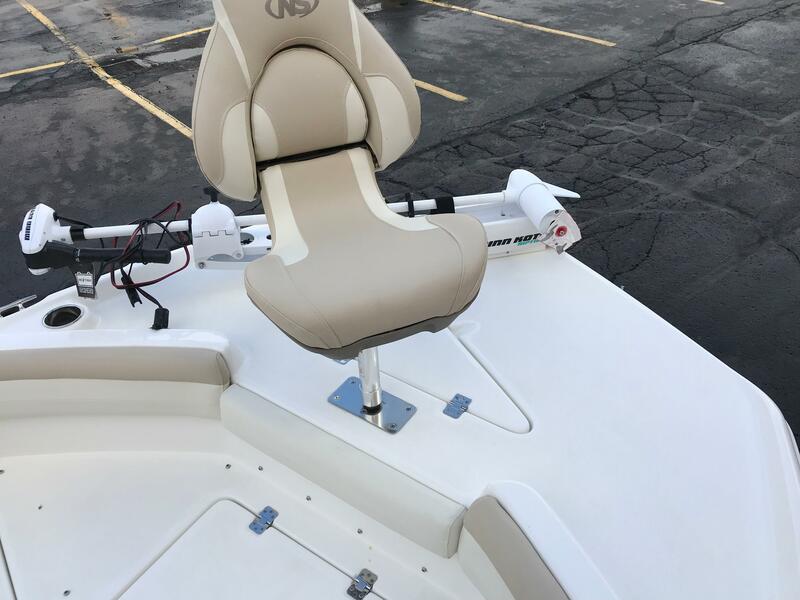 Equipped with lots of practical options includes a Minnkota Riptide 70LB trolling motor & quick disconnect, two bank battery charger, table and cushion, a Simrad GO7 XSE, Ski Tower, Table, Dual Battery Charger, Bow Flip Out Lounge, Elevated Flip Flop Bench, 1 Fishing Seat, High Pressure Wash Down, stainless steel prop, . 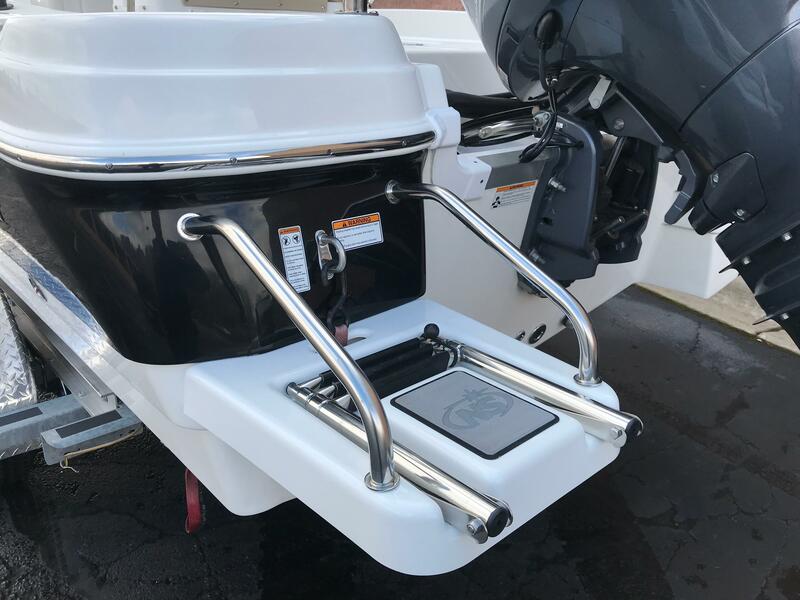 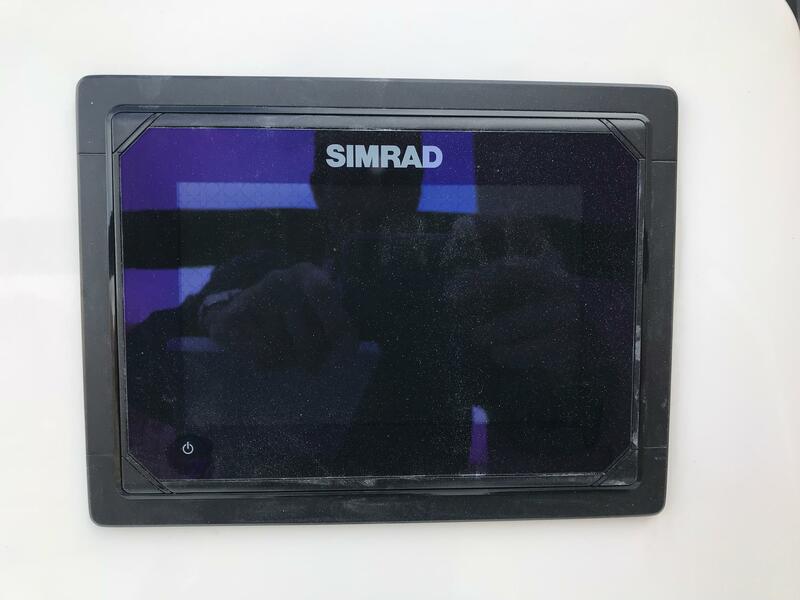 Trailer is available for purchase at $3799. 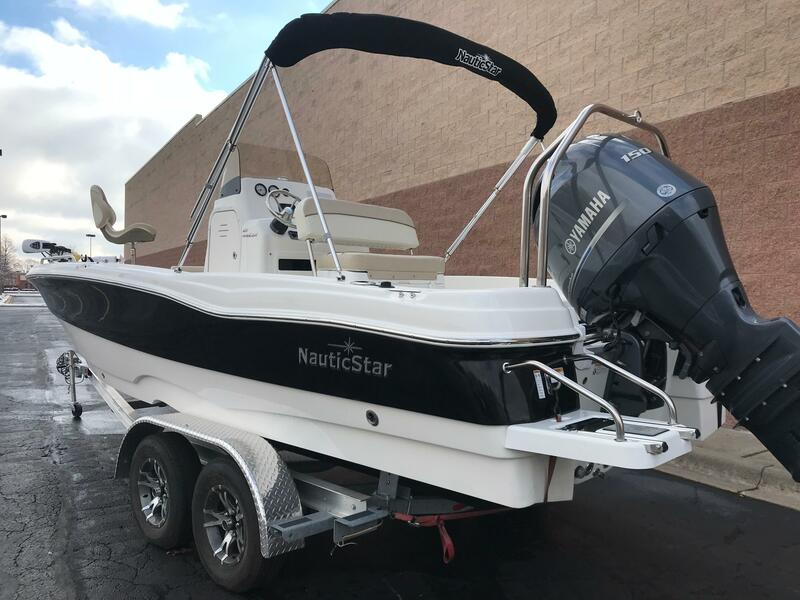 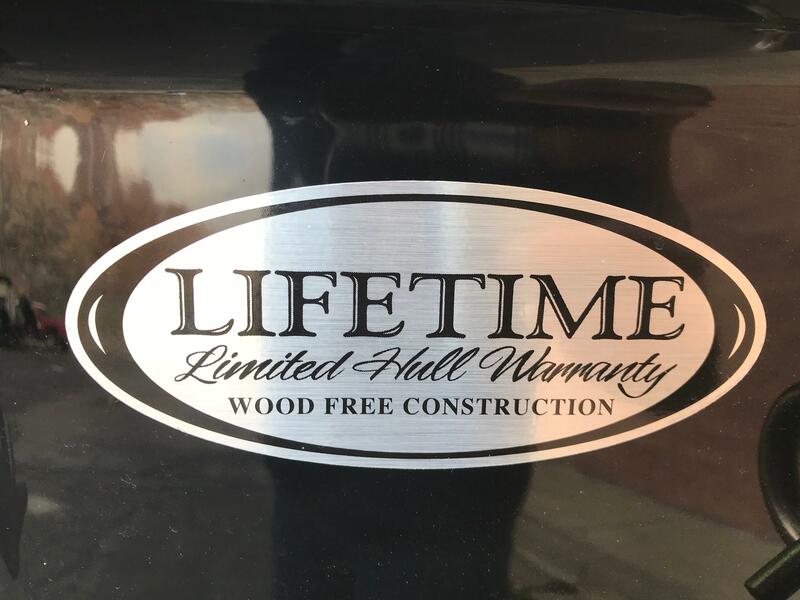 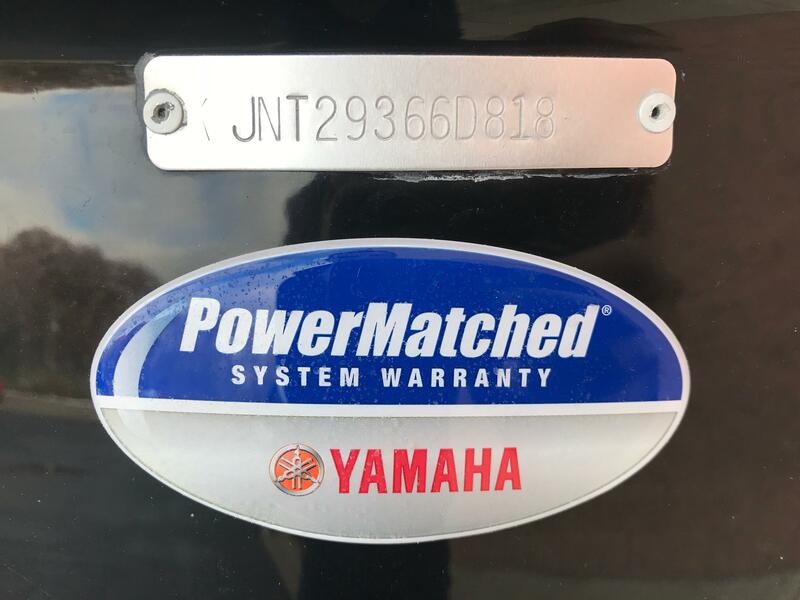 Call us or stop by the marina for details. 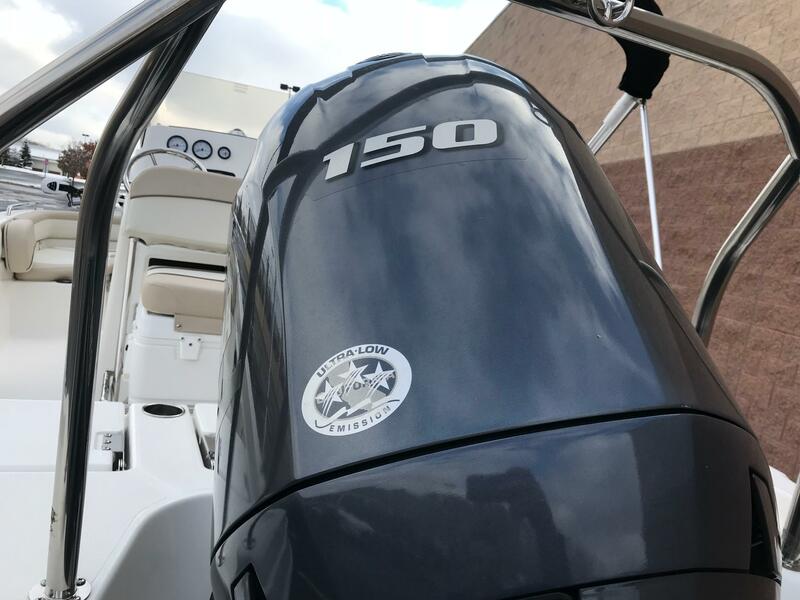 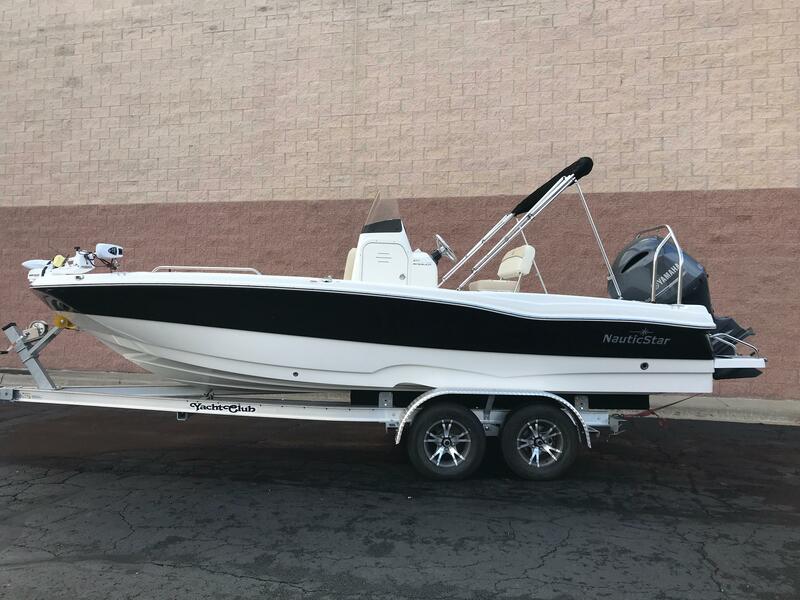 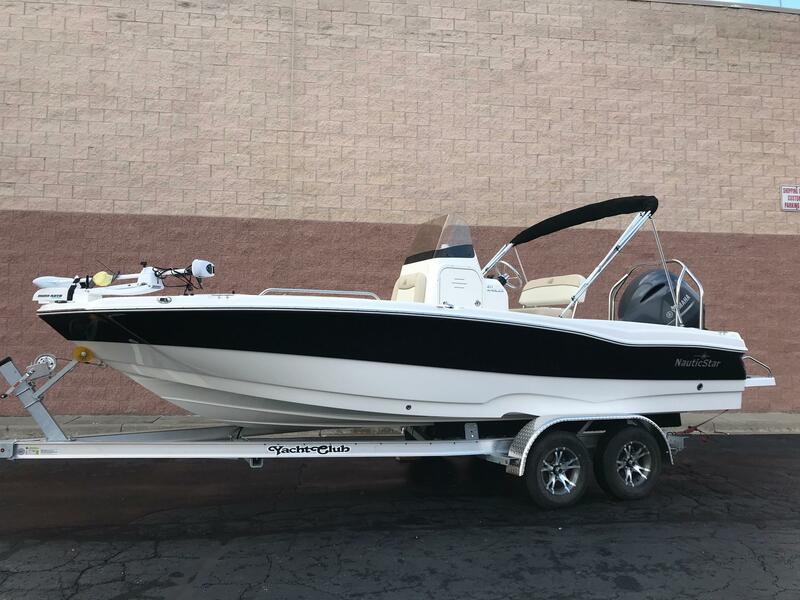 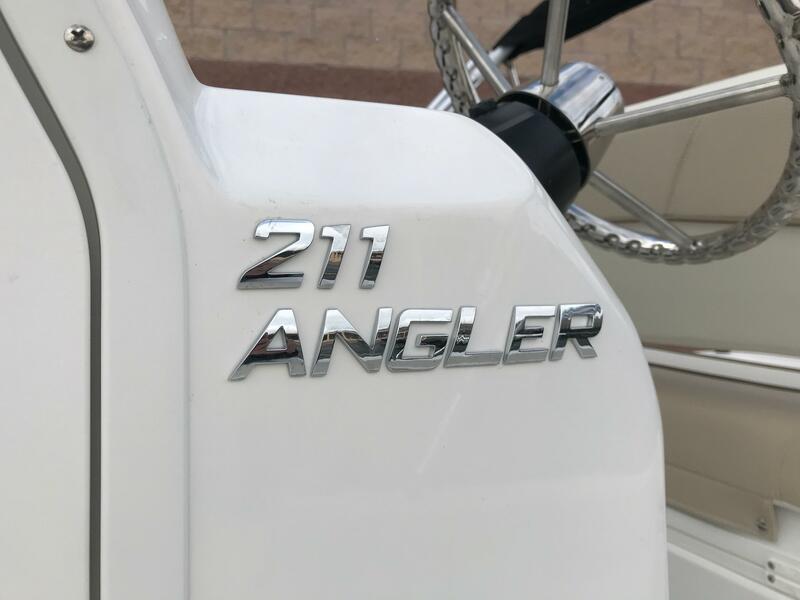 A serious fishing machine in the morning and a versatile water sports boat later in the afternoon, the 211 Angler is the right boat for you. 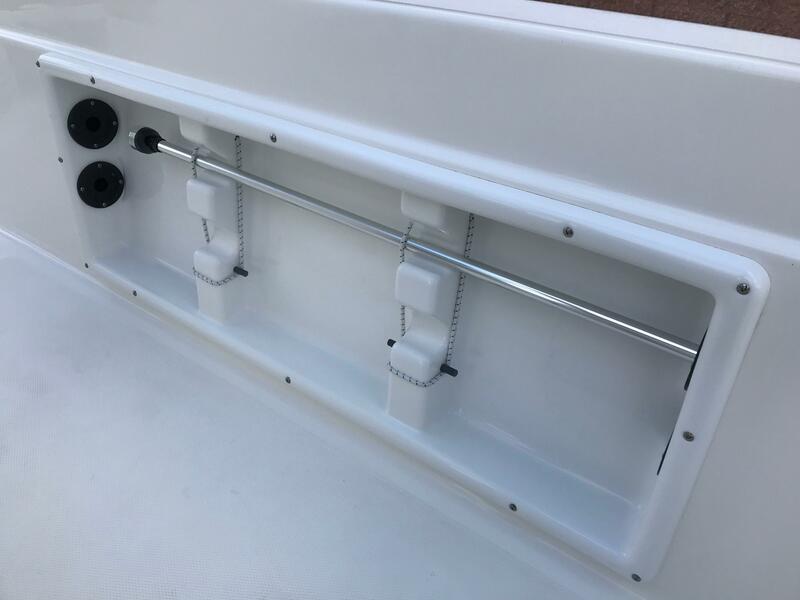 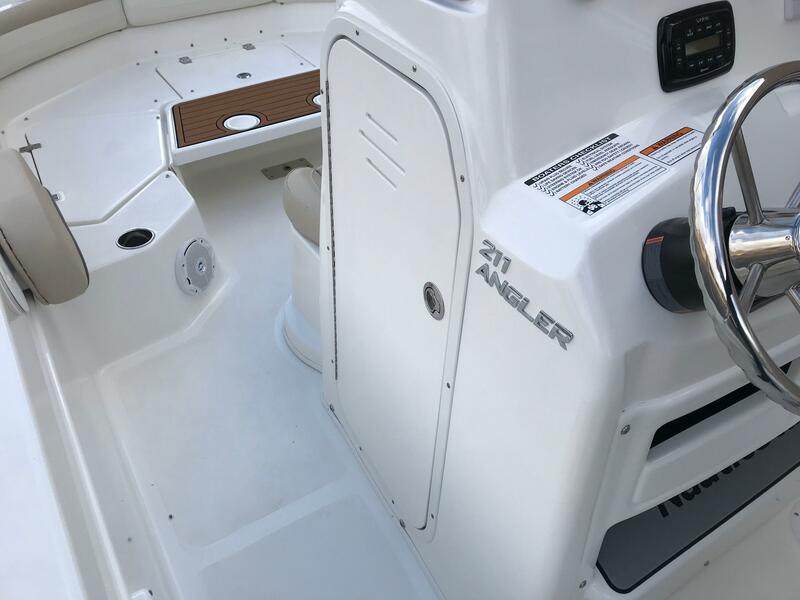 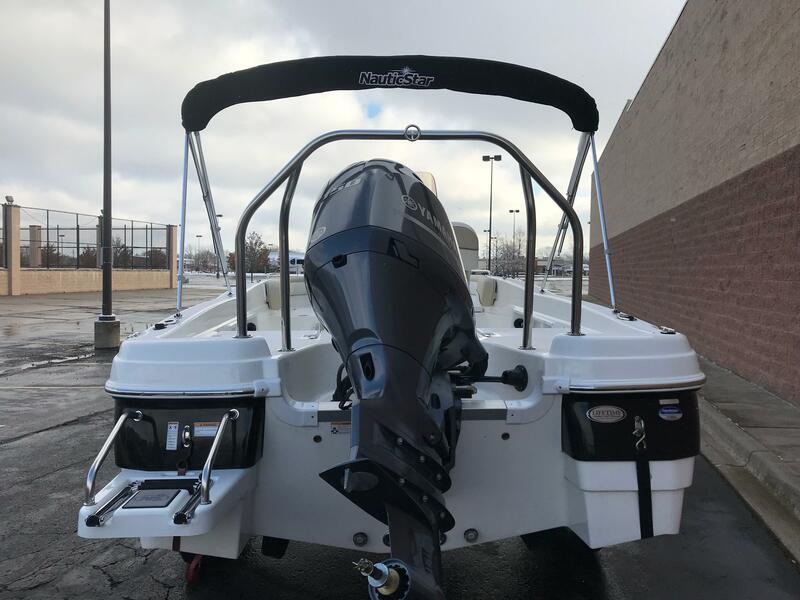 The 211 is loaded with fishability features including, gunnel rod holders, a 27 gallon aerated release well, a 13 gallon aerated baitwell, cast net storage and fore and aft casting decks. 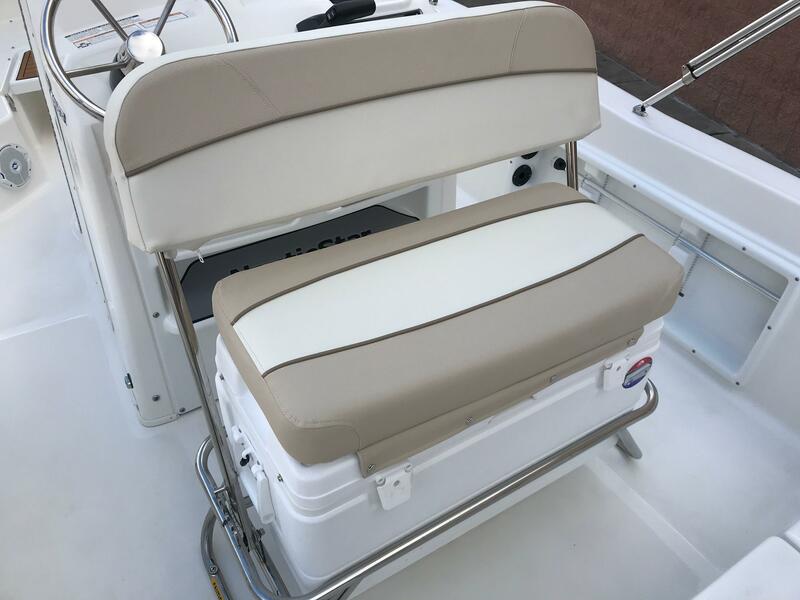 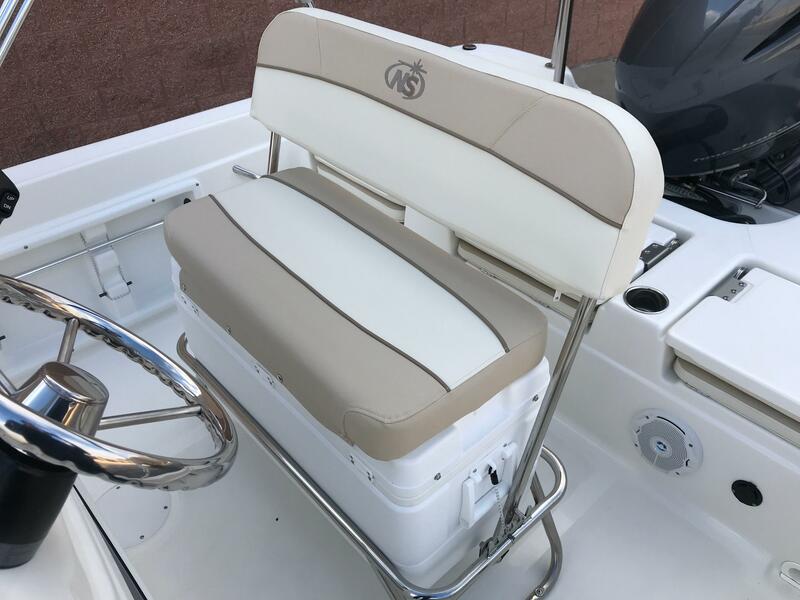 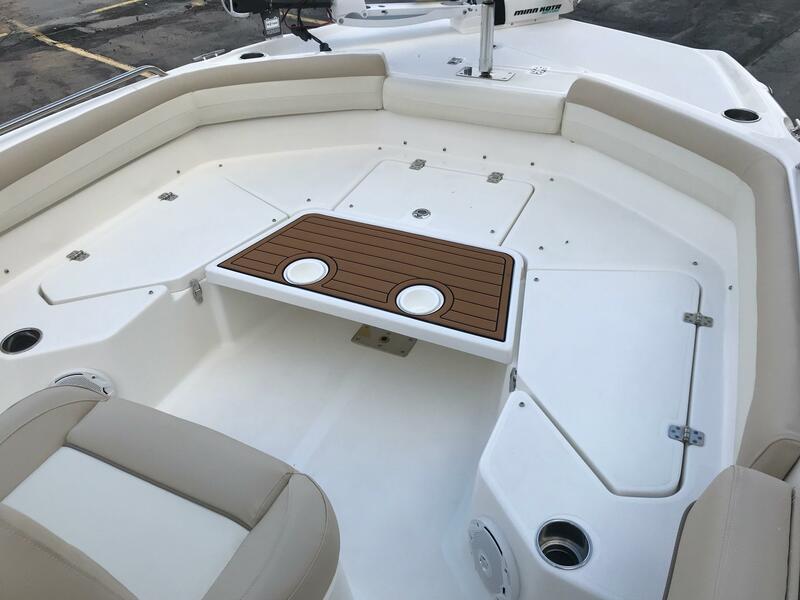 Flip-up 3-across seating, a standard Bimini top and leather touch upholstery adds to the comfort. 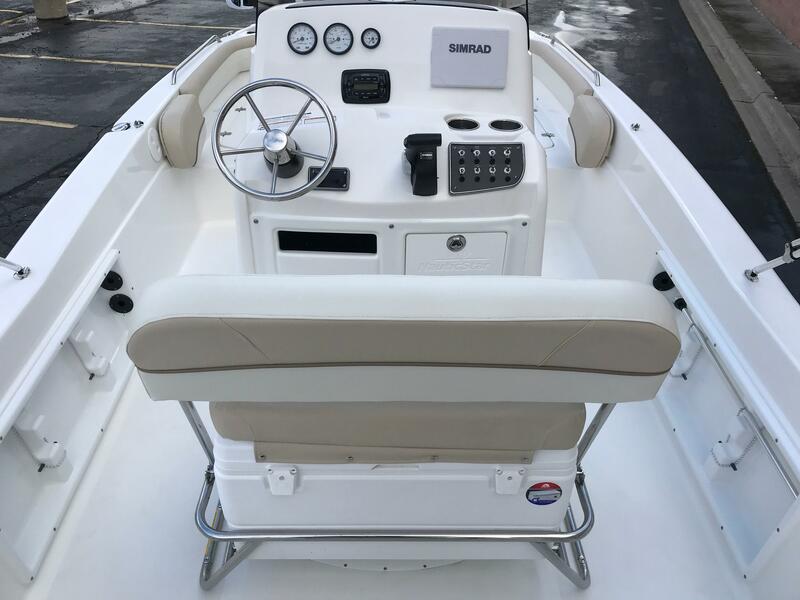 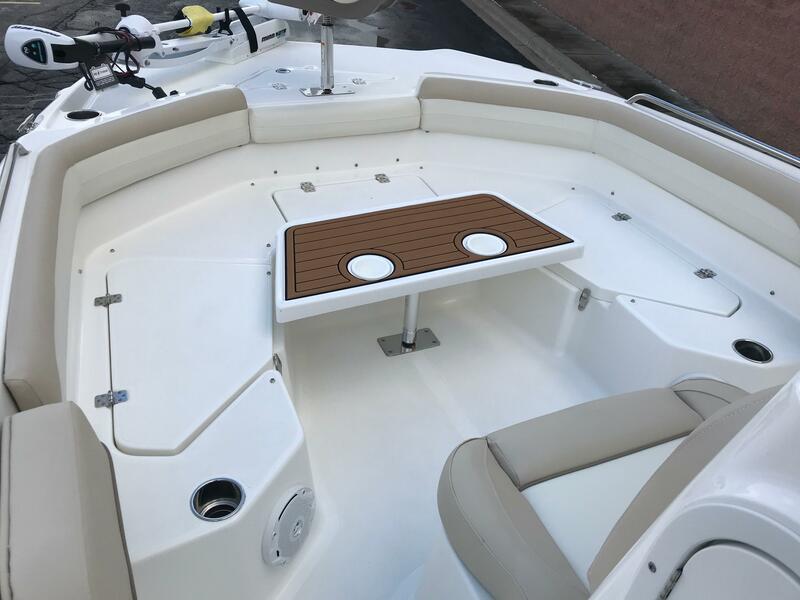 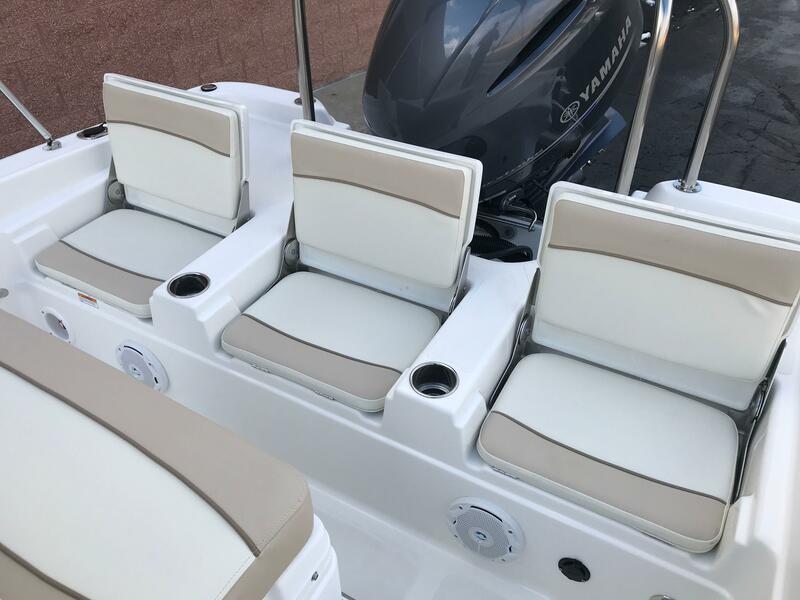 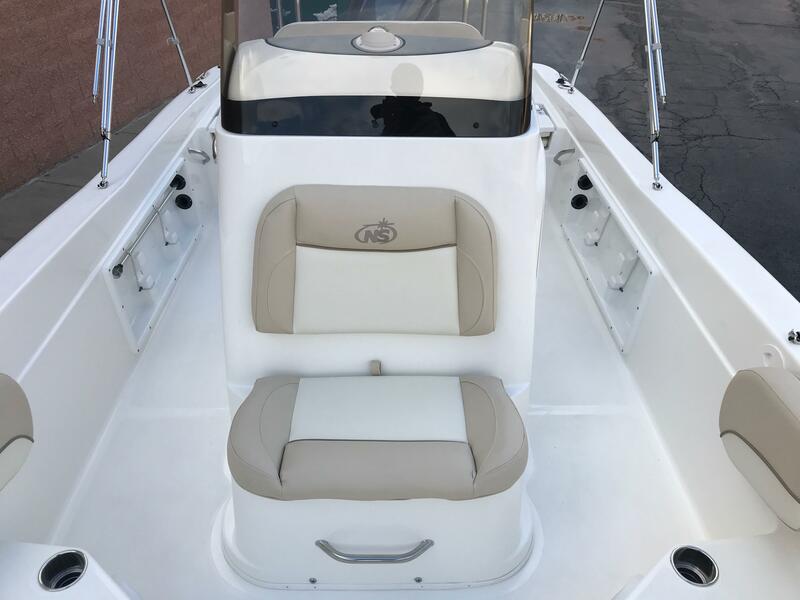 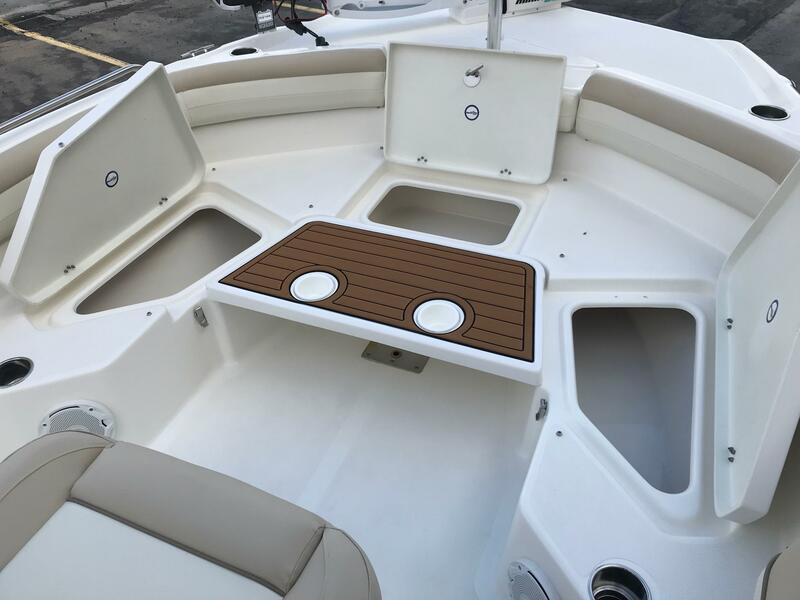 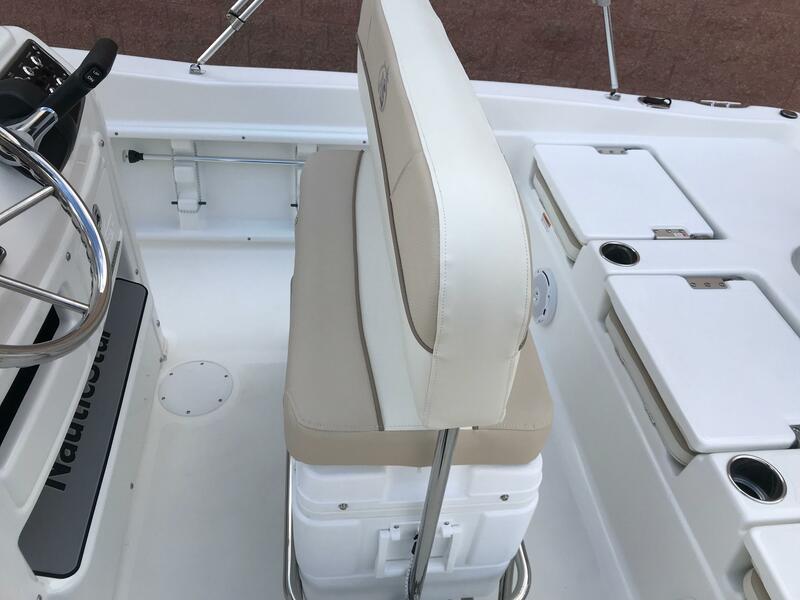 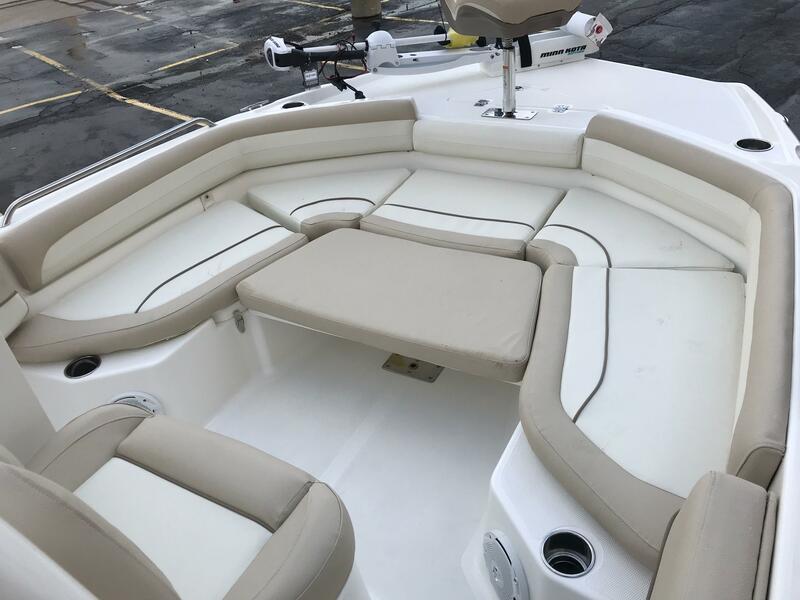 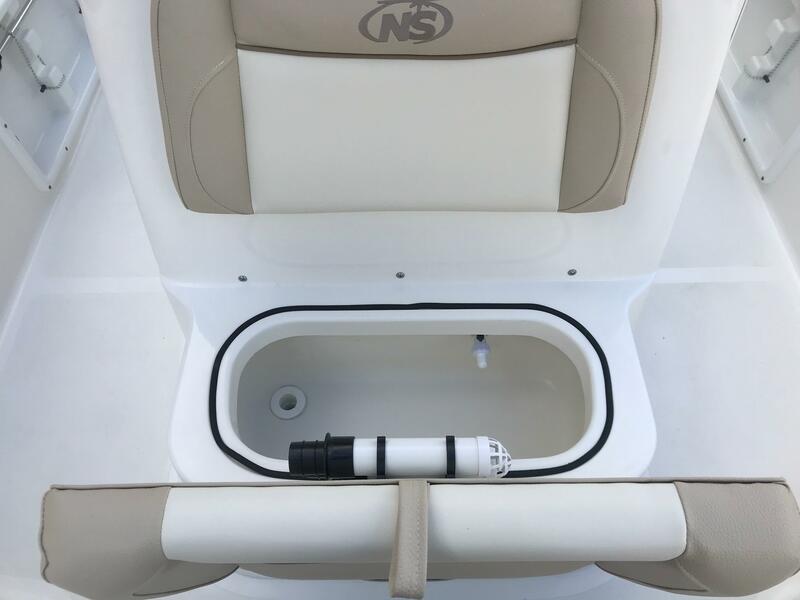 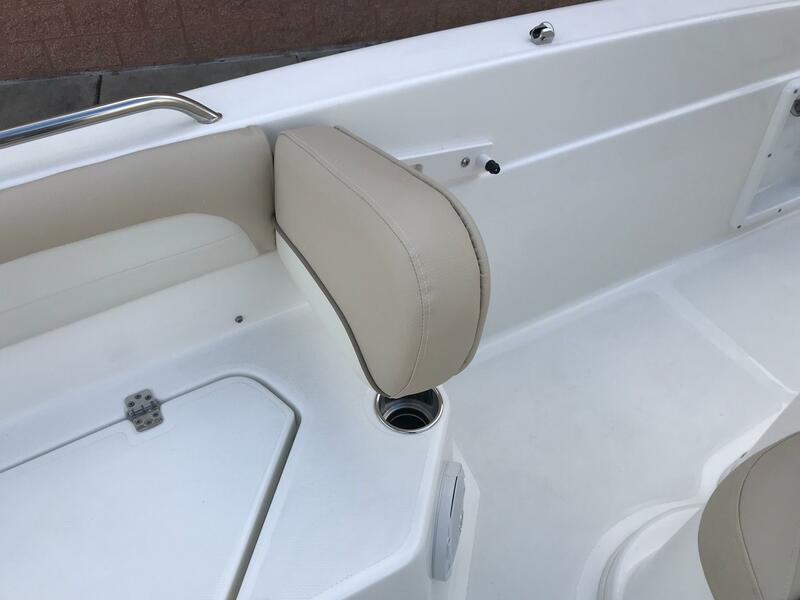 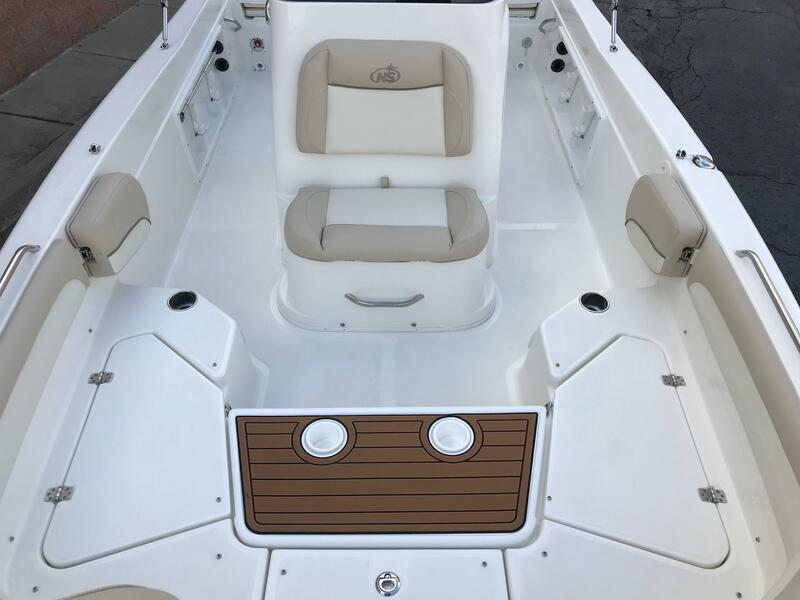 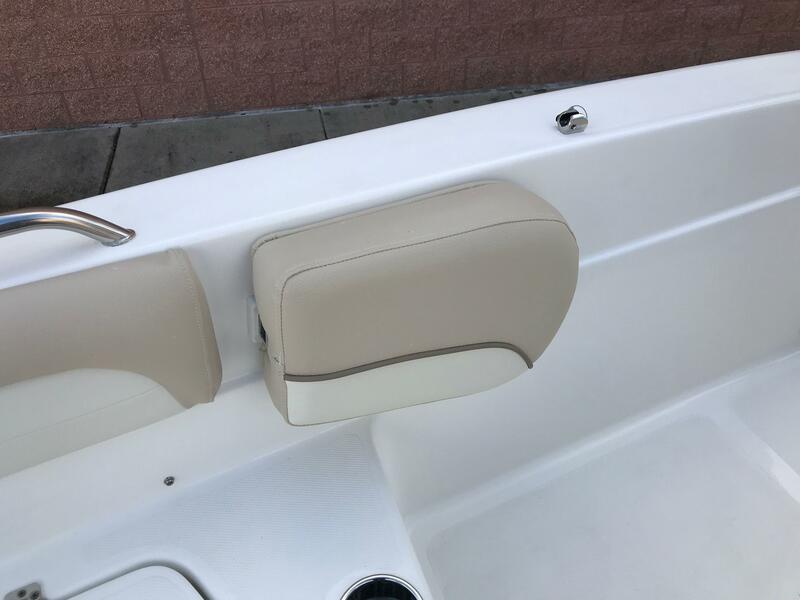 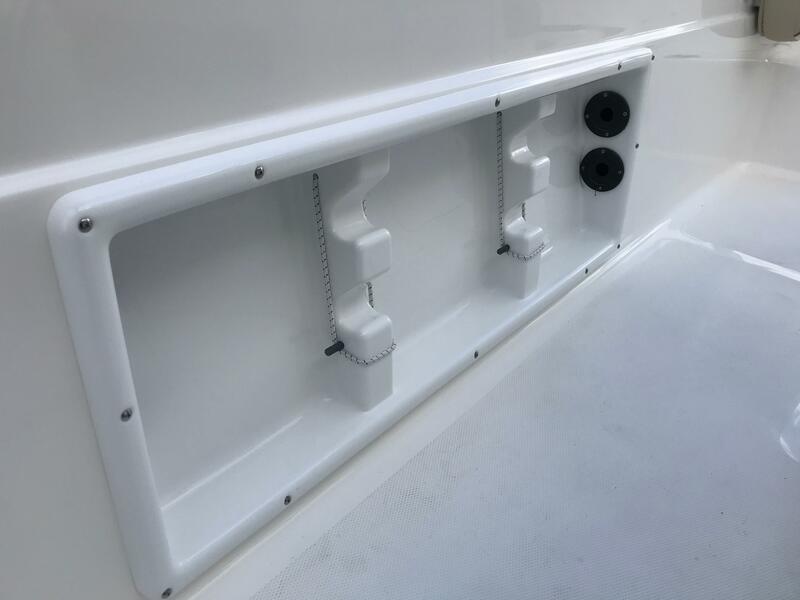 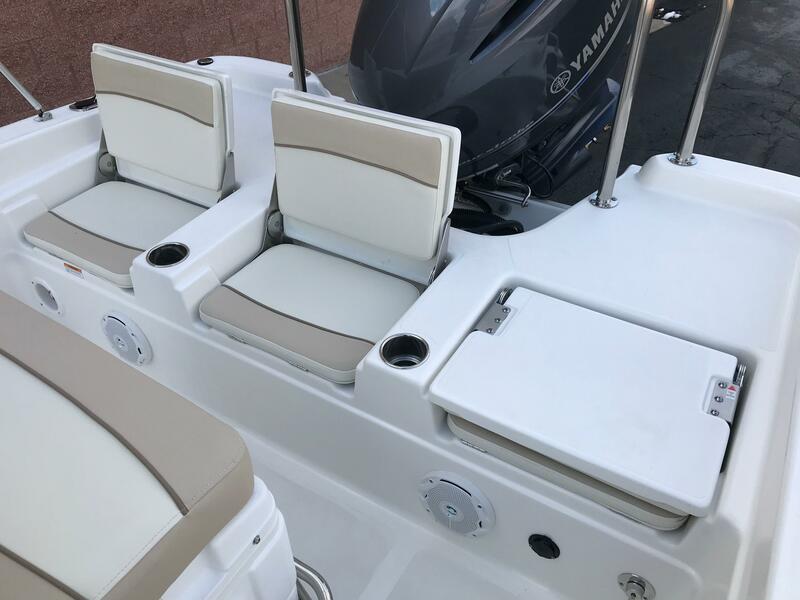 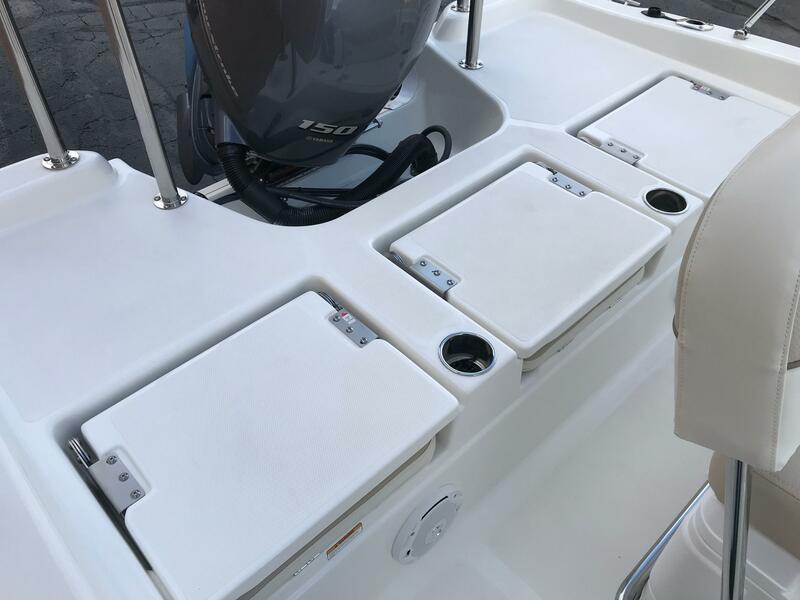 You can even option in the large console with head compartment to make it that much more comfortable for a day on the water.